I went to a great BBQ at the weekend. Lots of nice salads, some great meat along with some awesome chorizo. You’ll have to excuse the photos, I neglected taking many photos due to beer. Anyway, I made my couscous salad thing and two dips to take along. The dips turned out pretty nice so I thought I’d share the love! The first one is a roast butternut squash dip and the second is my roast pepper and tomato sauce. The Roast pepper and tomato sauce is so easy and amazingly versatile. I use it as a base for so many dishes. You can tweak the recipe slightly deepening on what you are going to do with it. It’s great. A hand blender or food processor. If you don’t have that then use a masher and pass it through a sieve. 1. So this doesn’t get much easier. Add the peppers and tomatoes to a nice large oven roasting pan. Add a good slosh of olive oil, a good pinch of salt, pepper, a pinch of fired chilli and a splash of balsamic vinegar. Mix well then put in the oven on about 220°C. 2. give it about 15 mins and add a sprinkle of the brown sugar. Give it 5 mins more and its done. Get want some of the edges to have gone a bit caramelised. 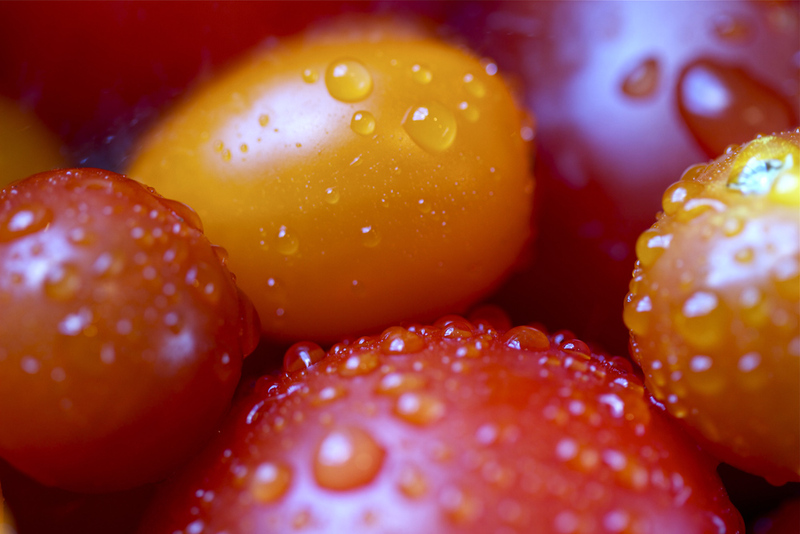 Get out the oven and pour out into your food processor or in a pan for your hand blender. Blend up until smooth. From here you can add a handful of fresh basil, parsley or oregano. What ever you can get. Thats it. Taste and season accordingly. If you want it a bit spicier add some finely diced red chilli right at the end and stir through. Now for the Roast Squash. This one is amazing. 2 butternut squash (some people (Australians) call them pumpkin even though it’s a squash. Go figure) Cut them in half carefully. You can buy them already chopped in half so do this if you are not so confident with the knife. I have a large chinese cleaver and cut them in half like a ninja. 1. 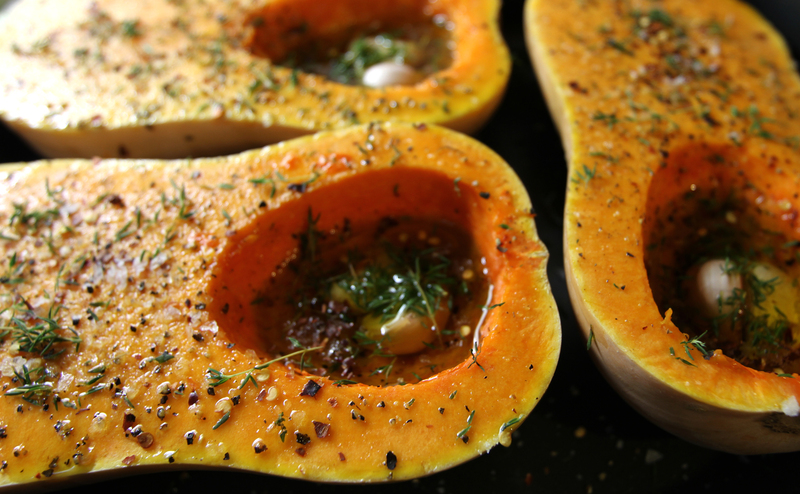 Get your halves of squash and scoop out the seeds. 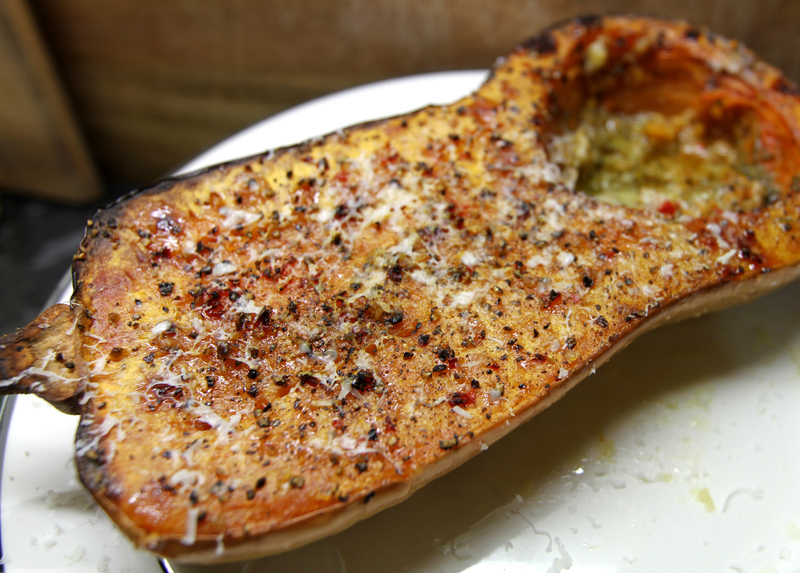 Drizzle the olive oil over the squash and rub in. Season with salt, pepper a pinch of dried chilli and some fresh thyme. Now pour some more olive oil into the bit where the seeds were. You want it at least half full. 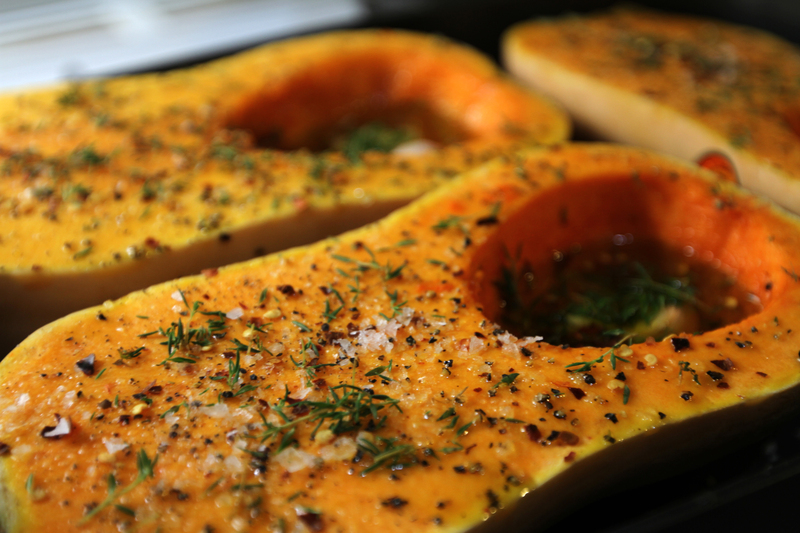 Add some more of the same seasoning (salt, pepper, thyme, chilli) and 2 cloves of garlic for each squash, unpeeled. 2. Pop in the oven on about 160 for about an hour and a half. If its not ready by then give it 30 mins more. 3. Once you can put a fork into it very easily it is almost there. Take out the oven and grate some pecorino cheese onto it and pop back in the oven for 5 more mins with the heat turned up slightly. Once the cheese has some colour take out the oven and leave to sit for a few mins. 4.Now get a bowl and take the cloves of garlic from the squash and squeeze the garlic from them into the bowl. Now get a spoon and scoop out the squash into the bowl and mix really well. Add a squeeze of lemon juice a good handful of grated pecorino cheese and mix. Taste and season accordingly. You might need a bit more salt and pepper. If you want a bit more spice add some fresh red or green chilli finely chopped. Thats pretty much it. You can have this simply as a dip or use it like you would mash potato with vege and a nice steak.